Are you as eager to start your outdoor planting as we are? In Canada, we absolutely love this time of year when we can finally get outside and start enjoying the warm weather. 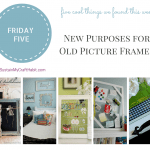 And what better way to start then to prepare some DIY planters for your seasonal flower arrangements. 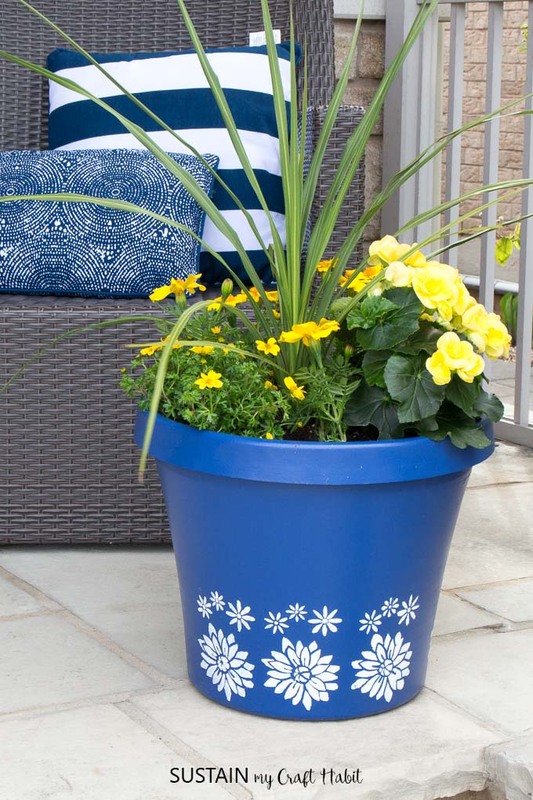 With a little bit of outdoor paint and a pretty stencil of your choosing, you too can turn some inexpensive plastic flower pots into colourful, beautiful, one of a kind planters. 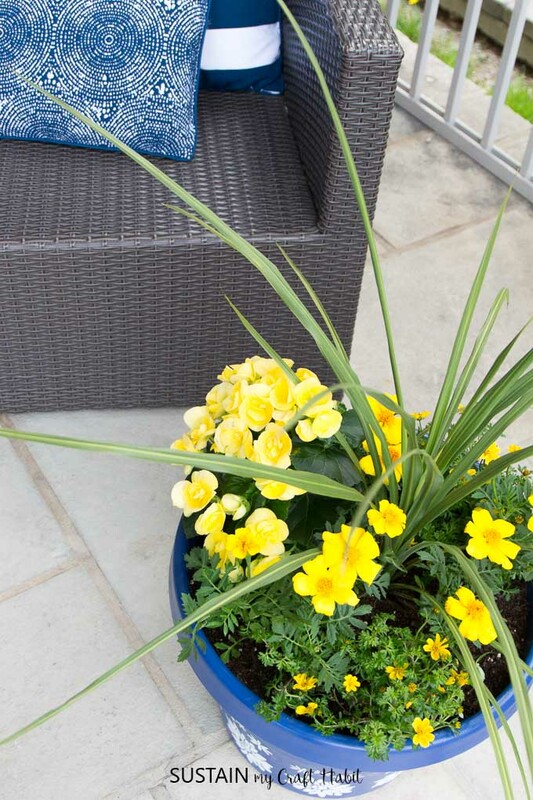 In fact, you’ll probably enjoy the pots as much as the flowers planted inside. 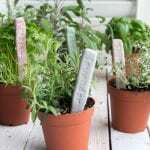 And if you have an old plastic flower pot lying around then this is the perfect solution for getting more use out of it. 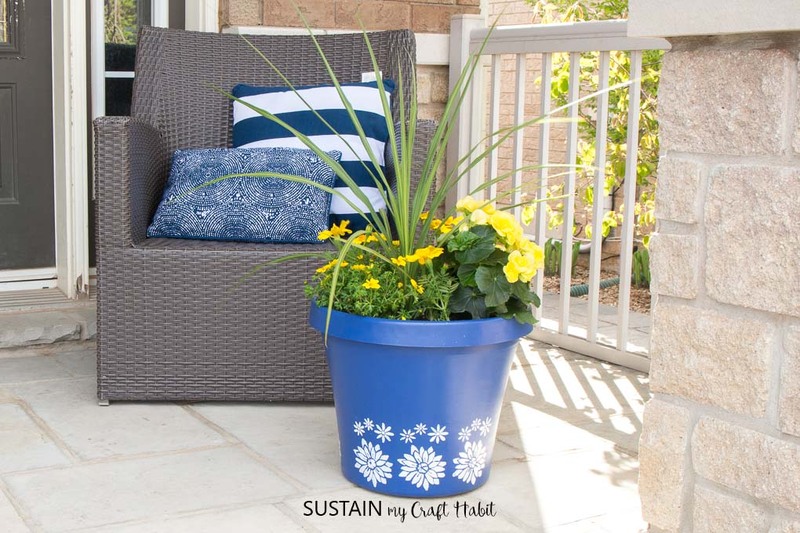 This outdoor paint covers plastic surfaces extremely well and is really versatile. 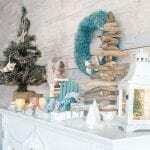 We’ve also used the same outdoor curb appeal paint for our cottage front door makeover. Isn’t that harbor blue color incredible? Read the instructions on the paint jar before starting. 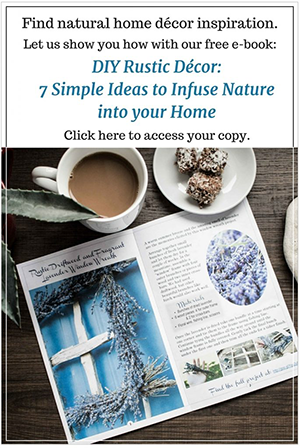 You can find additional directions and tips for using the Curb Appeal paint on the DecoArt website. 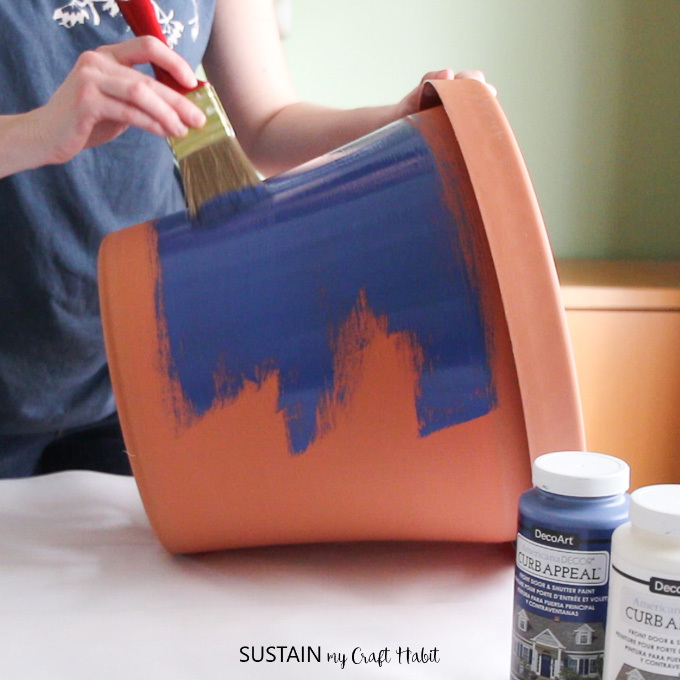 Paint the pot in Hampton Blue. Allow to fully dry. Apply a second coat as needed. Allow to fully dry. 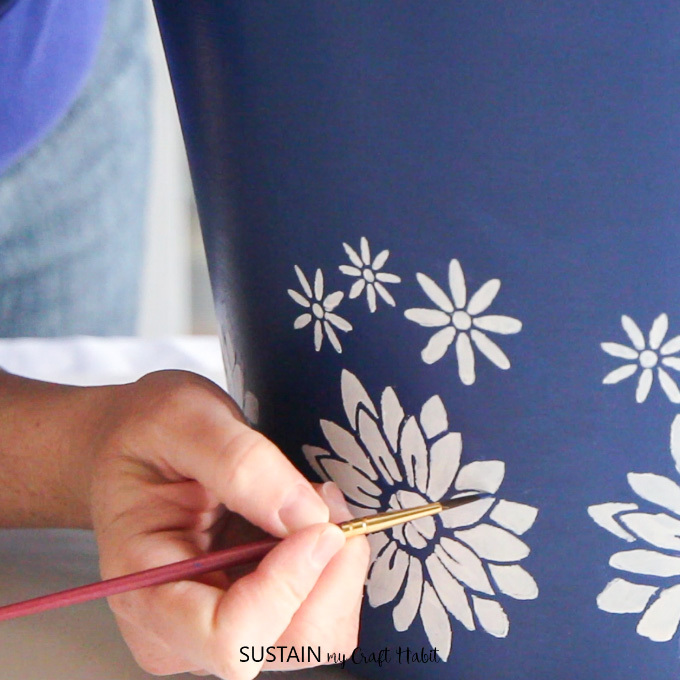 Apply the large flower stencil towards the bottom of the pot. 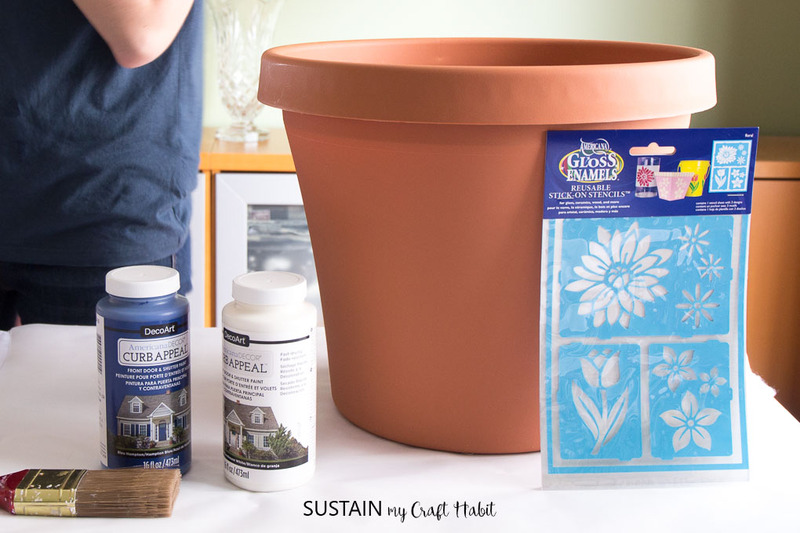 Use a foam or round stencil brush to dab on Farmhouse White paint. 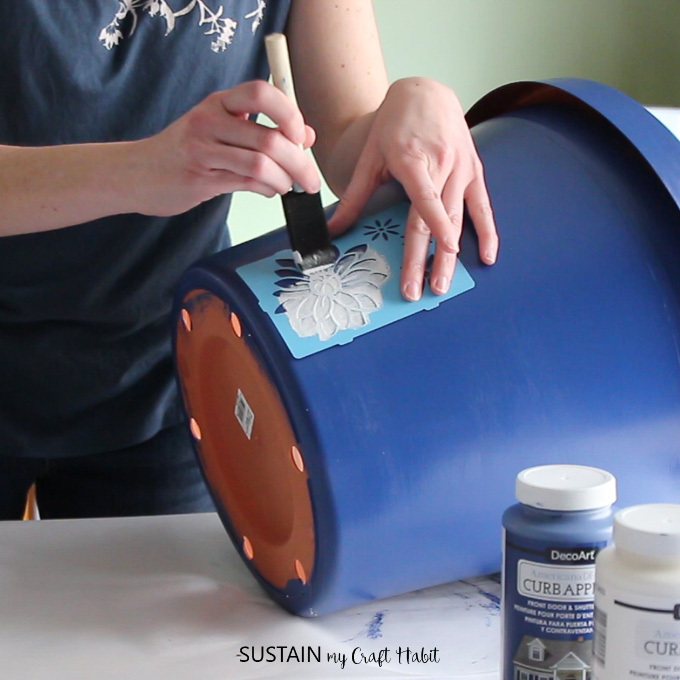 Gently remove the stencil by peeling it carefully off of the pot. Repeat one row around the base of the pot, allowing time to dry fully before using. Touch up any areas with Hampton Blue and a small brush. 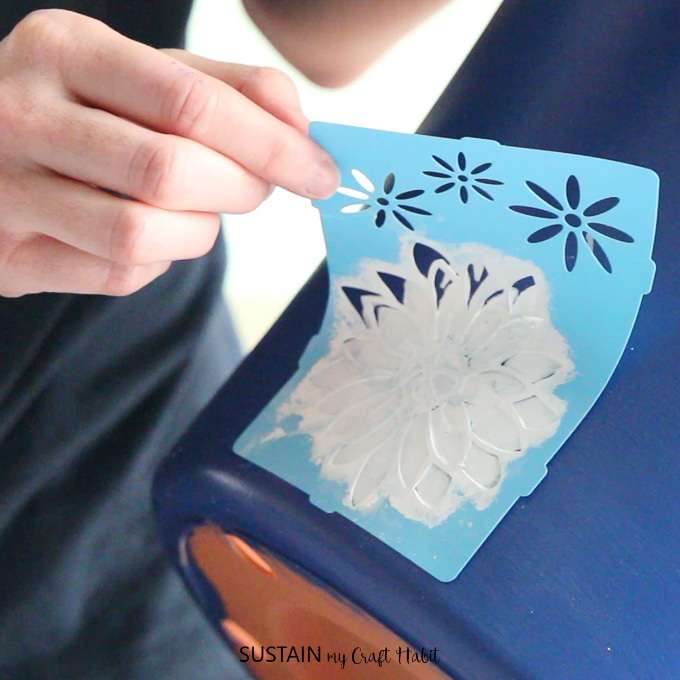 Clean the stencil with soft and warm water after each use. Once the planters are ready, you can plant any of your favourite assortment of florals and foliage to adore for the season.